Put it this way. Desperate times call for desperate measures. That’s just the way life works. You wouldn’t risk your prized possessions if you were nice and comfortable now, would you? The only way imaginable that will happen is when your hands become tied and when you are dragged to do things you don’t want to do. If you’re a proud person who doesn’t want to admit you’re in trouble, of course you will come up with all sorts of excuses to try and make it look as normal as possible. If you’re a politician, you’ll play it very differently. An experienced one – or a party – will create different distractions. They will come up with all sorts of ridiculous ways to divert attention while they try to fix the mess. They will tell half-truths, insult people where they can and as far as it can be accepted and they will tell one porky after another in a bid to sidetrack the real issues. The aim of course is to confuse, to muddy the water. The more confused people become the better it will be. It is likely they will play people against each other so that they end up antagonising one another and getting on each other’s nerve while the mastermind sits back to think of more ways to confuse. This of course goes on until the chickens come home to roost. In Samoa today, sometimes it pays to step back, observe and not become so enthralled by what’s happening. When you do that, it becomes easier to put things in perspective. Your vision becomes a lot clearer, your hearing takes on a different level of sharpness and then you see as clear as daylight what is happening. And what is that you might ask us? Well it’s pretty simple we think. From our standpoint, sad to say, we see a government that is desperate, clutching at straws to try and fix a mess it has been ignoring for so long. Now that the chickens are just about to come home to roost, it is waking up to the realization that all that glitters really isn’t gold. What they have got instead is trouble spelt with a capital T.
There is one consultation after another. A Forum about this and that is held here and there with outcomes and statements promising to save mankind. They say all the right things. They look good and pretend to be happy. They cart all these poor villagers and chiefs into these fancy buildings and feed them breakfast, lunch and afternoon tea. Now and then they will insult their intelligence for good measure. These poor people become pawns in this game. It’s such an irony because these villagers don’t understand how powerful they are. They don’t know they are more powerful than these officials parading before them with egos bigger than planet earth. Then they start to talk. One talkfest, another talkfest to discuss another talkfest. There are plans to plan a plan. To an undiscerning ear, of course your head will nod. Of course you will be so impressed and sold on some flimsy ideas. And then you go home and reality comes back to bite you where it hurts the most. That is the picture of Samoa today. There is a false sense of security being promoted under the name of progress and development. But there is an emptiness; there is big void you can see in people’s eyes. They are desperate. They are sad and one day they will wake from this dream and realise they have been fooled all along. They will find that not only have they been left with a massive debt they cannot pay; their prized possessions have been fleeced from under their feet. They will clutch for their chiefly titles to find there is nothing special about them anymore because every other Tom, Don and Harry has one. They will find their fellow villagers being hauled off somewhere to work their farms. They will discover there is nothing special about their citizenships anymore because it has been sold to any foreigner who can afford it. Last but not the least, their land that was meant to be their inheritance from God and their ancestors, has been alienated so that they become exiles in their own country. The fact is this. 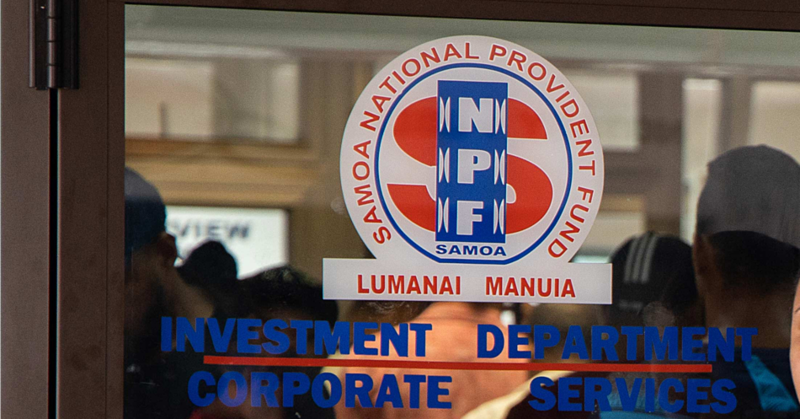 Everything happening today in Samoa, from talks about the role of the sa’o in families, pulenu’u, customary land consultations, to the review of taxes and charges, opportunities for employment overseas and more are geared towards paying a foreign debt created by this government that has ballooned uncontrollably over the years. And there really are no winners. Neither critics nor the government of the day can claim a victory of any sort in this matter.There are only losers and that involves you, me and everyone else in this country who will end up having to fork out to pay for it. Over the years, we’ve seen how this menace called corruption has been allowed to fester so that today it looks incurable.And it’s not just the major instances of wrong-doing that are alarming. Despite the assurances from the government that there is no reason to panic, we believe there is. For starters, the government just hasn’t shown that it has the ability to improve income and revenue generation. Secondly, it has failed miserably in its bid to try to attract foreign investments, which are vital to create much-needed employment opportunities. That’s on top of multiple failed investments in buildings and infrastructure that end up costing more to maintain. Indeed, it is our children who will ultimately shoulder the burden. It is they who will be begging for mercy from the lenders. They are the ones who will have to deal with the mess that is our foreign debt today. They are the ones who might have to give up things that are theirs by birthright as they struggle to survive. This is a future nobody wants. But we are heading that way. Now open your eyes Samoa and see what is going on.